In grid view, It is not possible to show image from database directly. We have to have a handler for that. 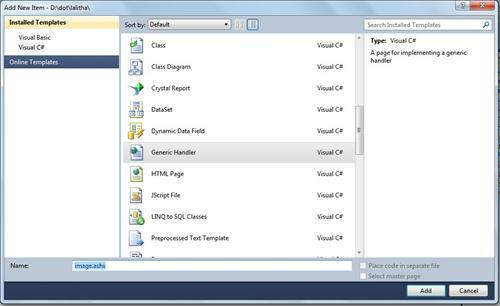 Handler create an image dynamically from taking bytes from database. It means we will pass an id to handler then it returns image based on that. 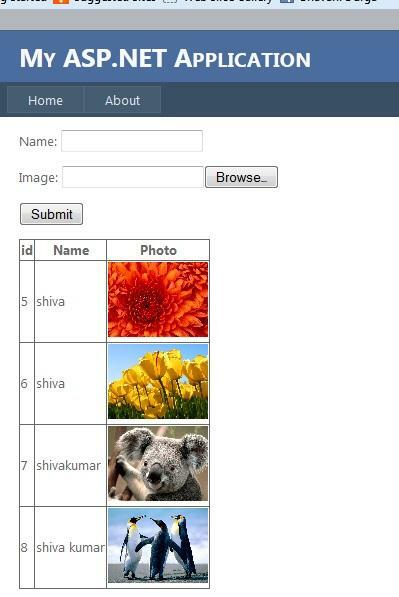 Let us see how to show image in grid view which is already in database. First we will store image in database. our Db table is like this below image. Handler code it is image.ashx. finally that screen will be like fallowing image.